In 2012 I wrote an article called 5 Things Your OBGYN Won’t Tell You (About How to Have a Better Birth and Postpartum) and it became very popular. In fact, it went nuts! My first ever traffic spikes were all because of that article. Since then, in my experiences as a childbirth educator, doula, blogger, and mother, I have noticed 5 more things your OBGYN won’t tell you, about how to have a better birth and postpartum that I must share. Sadly, the majority of the following information will NEVER be discussed during the average prenatal appointment or birth. The burden is therefore on the childbearing woman to research, discuss, and advocate for her care and eventually create change in her community. DISCLAIMER: Before we discuss the 5 more things your obgyn won’t tell you, about how to have a better birth and postpartum, I need to make one thing clear. In no way am I against OBGYNs. I love the profession and I am so glad we have access to the expertise that these doctors bring to maternity care. I also highly respect many of the people in these positions, especially in my own community. Some of Tallahassee’s finest OBGYNs are known for their “magical hands”, ability to turn or deliver breech babies, are open to new policies and procedures, participate in collaborative and evidence based care, and even refer their clients to me. However, the average OBGYN does not operate in this manor. Without further delay, the following are 5 more things your obgyn won’t tell you, about how to have a better birth and postpartum. In my childbirth classes, on the night we talk about pushing, a very important topic ALWAYS comes up. “How to Prevent Tearing During Birth” – An important topic! According to a local OBGYN, the average first time mother has a second degree tear. I vehemently object – this doesn’t have to be! 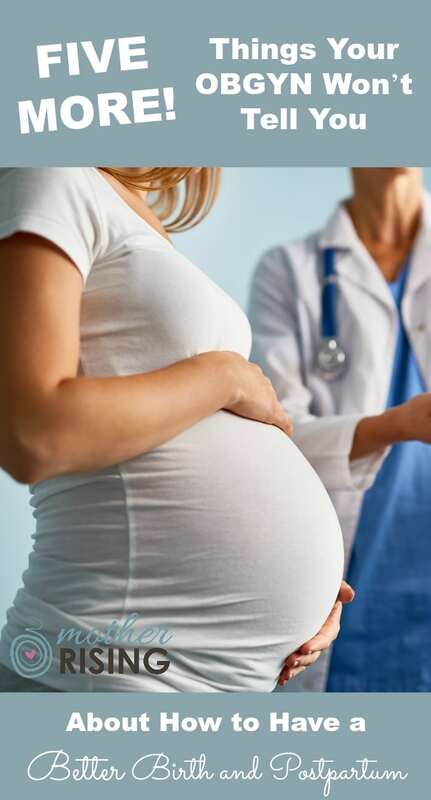 Whether you’re planning for a natural birth or a medicated birth, there are at least 5 surprising ways to prevent tearing that will change the way you give birth. The first thing we need to talk about is squatting. When in the squatting position, compared to being flat on the back, a woman’s pelvis will open 20-30% larger than it would otherwise. Isn’t that amazing?! A greater outlet = an easier birth. So of course, we should squat and push our babies out just like in this video, right? Eh, maybe not. Shocking fact: Squatting to push INCREASES tearing. You see, according to this study (and many of the midwives I know), pushing in the squatting position greatly increases the chance of tearing. Squatting, using birth stools or even squatting with a squat bar, all lead to more genital tract damage. Nobody talks about this! And many sources on the internet will even say to squat during pushing to avoid tearing. In a nutshell, if you are a typical sedentary civilized woman, you probably should rethink squatting during pushing. Unless you’re like the 1970s Southern Brazilian Indian women in this video who SQUATS TO REST, your body likely can’t handle squatting during birth. Side-Lying, Kneeling or Hands and Knees are positions associated with a reduced risk of perineal damage are lateral positions like a kneeling or hands and knees position. So if you really want to squat in labor, go for it, maybe just move to hands and knees before crowning. To read about the 4 other ways to prevent tearing, head on over here. Next on the list of more things your OBGYN won’t tell you, about how to have a better birth and postpartum, is that a vaginal birth after cesarean (VBAC) is an option. However, many OBGYNs, even where I live, do not tell women this. In fact, they go as far to say that VBACs are dangerous and no doctor will do one in the whole city. This is simply not true! One of the best things a woman can do to is to plug into various micro-communities within her city for information, planning, and support when planning for a VBAC. This is probably one of the best ways to get unbiased information on what’s actually permissible in the area. Head on over here for more details about planning for a VBAC in your community. Next on my list of more things your OBGYN won’t tell you, about how to have a better birth and postpartum, is that there are more gentler, family friendly ways of performing a cesarean delivery. Unfortunately, the birth culture (aka “how we do things around here”) at some hospitals hasn’t changed in decades and medical professionals have no plans to do anything different any time soon. This is so sad. Most women that I work with, on and offline, absolutely positively do not want to have a cesarean birth, however, at some point it sometimes becomes their next best thing. I can’t tell you how much joy it brings to be able to request the things desired and for it to happen, especially when birth is playing out far from what was originally imagined. Sometimes the little things are big things, which matter so much. The first is to learn advocate for yourself. The second is to hire a care provider that wants what you want and can help make it happen. To read more about a gentle c section and how to make it happen, head on over here. The fourth thing that your OBGYN won’t tell you is that umbilical cord milking ≠ delayed cord clamping. Hang with me and let me explain, because this is really important. Umbilical cord milking is where the cord is pinched and “milked” immediately following birth in order to quickly push blood into the baby (as you would squeeze ketchup out of a packet, or honey out of a honey stick). Starting as close to the placenta as possible, moving towards the baby, a care provider milks the cord several times before the cord is finally clamped and cut, usually within 20 seconds. Umbilical cord milking is also sometimes called “stripping the cord”. Delayed cord clamping, on the other hand, is the practice of postponing cutting a newborn’s umbilical cord instead of immediately cutting it after birth. 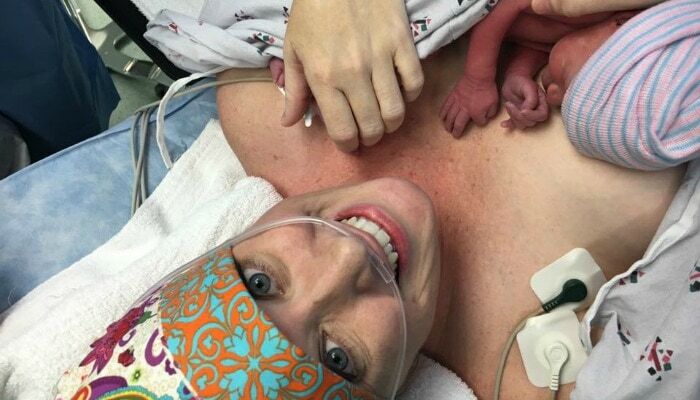 While the transfer of blood happens the care provider’s hands are off the cord and baby is lying on mom’s abdomen. In my community, and perhaps in yours too, many care providers now provide umbilical cord milking in lieu of delayed cord clamping. On the surface, it makes complete sense. Why wait minutes for blood to make its way to baby if you can push it through in seconds? However, as you may have already guessed, delayed cord clamping and umbilical cord milking do not provide the same benefits. To read more about the dangers of umbilical cord milking and what to do instead, head on over here. 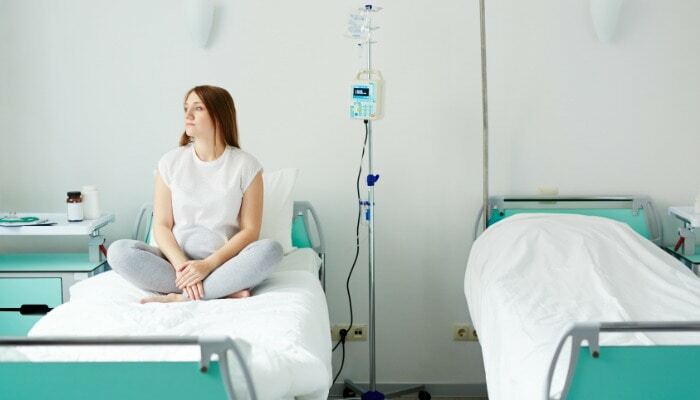 Finally, on my list of five more things your OBGYN won’t tell you, about how to have a better birth and postpartum, is that Pitocin®, a common medication given to a majority of mothers during and after labor, is affecting the mental health of mothers. Pitocin®, a synthetic form of oxytocin, is routinely given to women before, during and immediately following birth to induce and/or augment labor and to also prevent and treat postpartum hemorrhage. Much to the surprise of the medical community, a recent study showed that Pitocin® is linked to postpartum depression and anxiety. If you’re bothered by this and want to read more about this phenomenon (and the comments… ooohhh, please read the comments) head on over here. To recap, the following are 5 more things your OBGYN won’t tell you, about how to have a better birth and postpartum. Whether you agree with me or not about the statements above, I think we can all agree how important it is for women to research, ask questions, and advocate for themselves during the childbearing year. It’s worth it! Your baby only gets one birth! If you’re wondering if maybe the OB you chose in the first trimester isn’t the best fit, it may be a sign that you need to fire your OB. Leave a comment and let me know what you think. I’d love to hear from you! You are very inspirational to me, i have a 4 1/2 month old baby girl named Ruth(my first), she was a month Prem. I had preeclampsia, my urin count was high and my BP was also high, so my OB seemed to me that she was very for natural birth, and i believe she is still, bit when it came to preeclampsia they only gave me a blood thinning pill to drink, and definitely didn’t tell me what i can do to REALY prevent preeclampsia. I read your first article and it also lead me to your second one. If i knew that even with preeclampsia i could have prevented it and had a natural birth i would have done everything i could. I really thought i was fine up until my 7th month when the signs where there. Closer to my daughter’s birth my OB had me do final urin tests, which came back negatively, and that i must immediately come for an appointment, in which she told me the only way is induction in my case, if im opting for natural birth. She told me i must get to the hospital asap, and im not saying her judgement was wrong, i know preeclampsia is dangerous. But it came so suddenly that i couldn’t calm down, and all my research i did about inducing labour naturally went out the window, lol. I ended up in a good government hospital, when the doctors there checked me the first time, i was already in labour apparently. Little bit effaced and 1cm dialated. Me and my husband prayed about it and we went along with it, cuz my baby was more important to me that the way we receive her. She is so special, i was very blessed to have her with me for the first 14h, before she went to ICU due to a lung infection. Even more blessed that she was only in the hospital ICU for a week until i could have taken her home. In the hospital i would wadel slowly with my very painful scar down to the ICU to spend most of my time with her. There is a testimony to this though: after the C-section in the delivery room, the nurse tried to help me breastfeed her, but she couldn’t latch, as protocol in the hospital they have to feed her something to take her bloodsuger level, so she got a 25ml cup of formula and gave the whole thing to her without me really giving permission, this made my little Ruthie so bloted and so full of wind tgat she was heaving tge whole night through. Me being flat on my back and not able to get almost any help i had to try and birp her using my elbow to lightly stroke her back from bottom to top. Now i know your wondering where is the testimony in this, well in the ward with me was 6 other ladies, one of then decided to give her baby away into the system, but because she saw me so worried over Ruth and going to her every moment i could and the other ladies in the ward with their beautiful babies, she decided to take her baby back. God is awesome and brings out so many good things from what seems like a bad experience. Next time im doing a home water birth and hiring a doula. And doing everything to prevent preeclampsia if it even ptips up on the radar. Thank you for your encouragement, it means a lot.